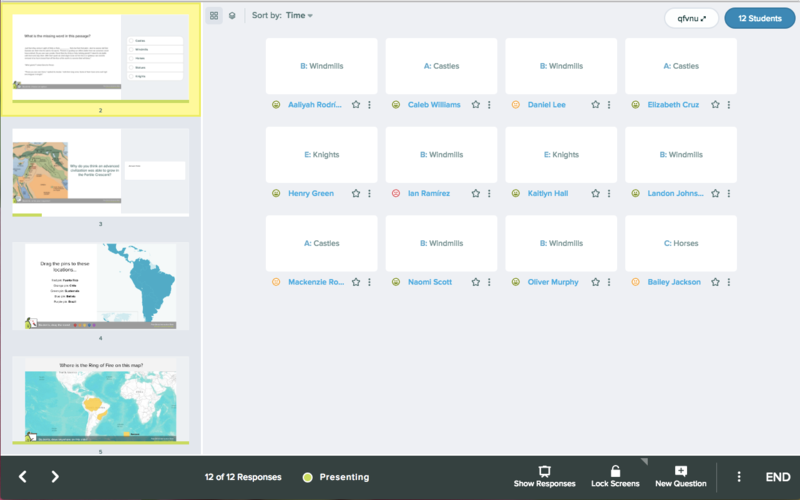 Pear Deck collects student responses immediately and saves them automatically. However, we do not show them immediately. 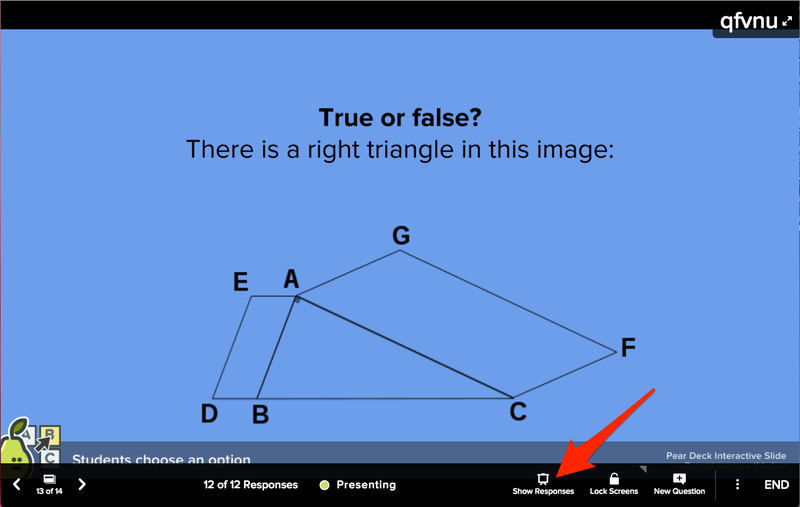 You get to decide when, or if, you show responses on the Projector View. When you are ready, you can show responses to start a discussion, decide how quickly to progress through your lesson, or point out good examples and misconceptions. Hover over the bottom of the slide until you see the Navigation bar. Click the Show Responses button. 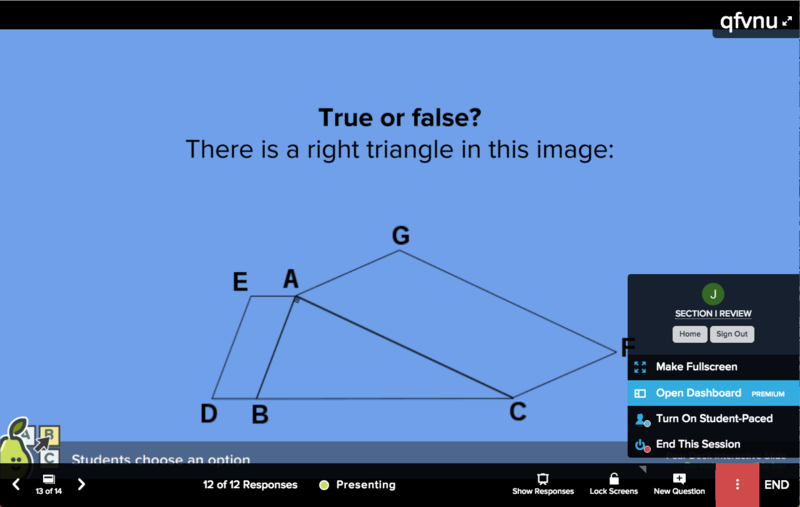 Note: Student responses will always display anonymously on the Projector View. We never put student names on the projector. This way, students can focus on the concepts and not worry about being embarrassed. Below is an example of how the answers display on a Multiple Choice Question. You can change the display type in the top left corner of the screen. Different types of questions have different display options. 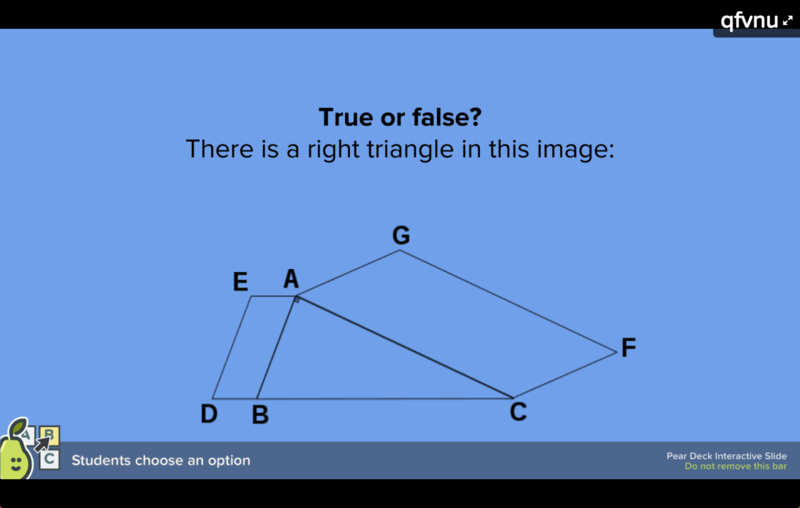 Learn about the different interactive question types. 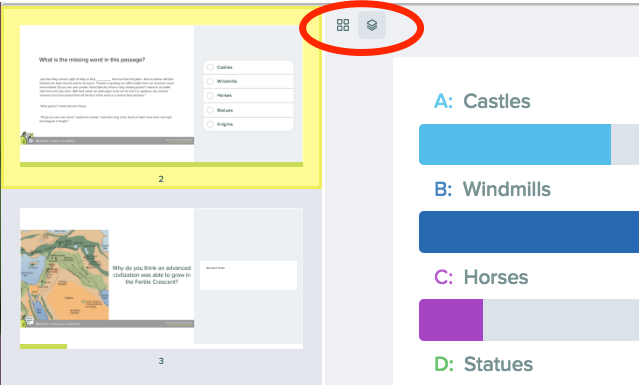 To see how individual students responded, use the More Actions (3-dot) menu to open the private Teacher Dashboard in separate window. Please note: The Teacher Dashboard is a Premium feature. Click on the 3-dot button to open the More Actions menu. Click Open Dashboard to open the Dashboard in a new window. Learn how to use the Dashboard from a separate screen or device. Note: If you prefer to open the Dashboard in a new tab, go to your Sessions menu and find the Session. Click on the Dashboard icon next to it. 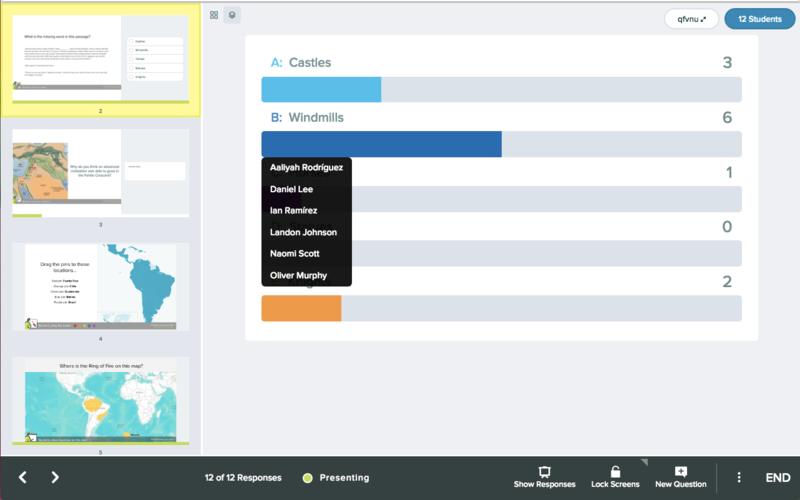 In the Dashboard, you see which student gave each response. 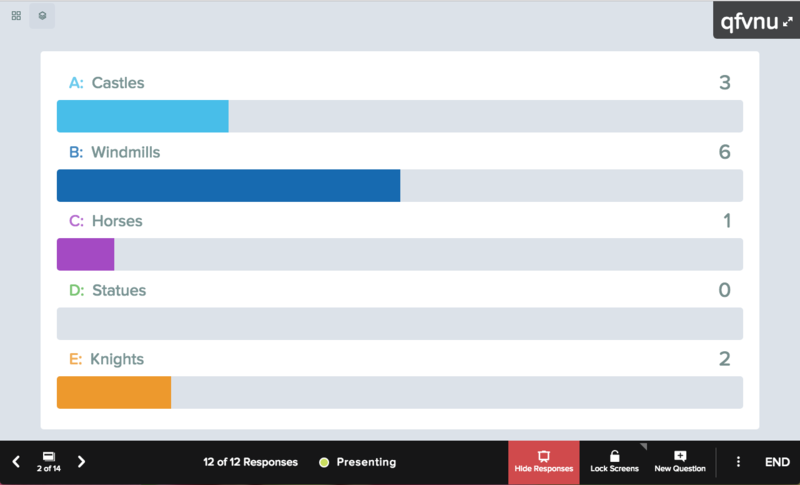 With a Multiple Choice question, you can hover over a bar to see which students chose that option. ...So you can see each student's name next to the answer they chose.